Let all mighty warriors heed this advice, whether battlemage or knight. Be fully prepared for an epic battle between good and evil. 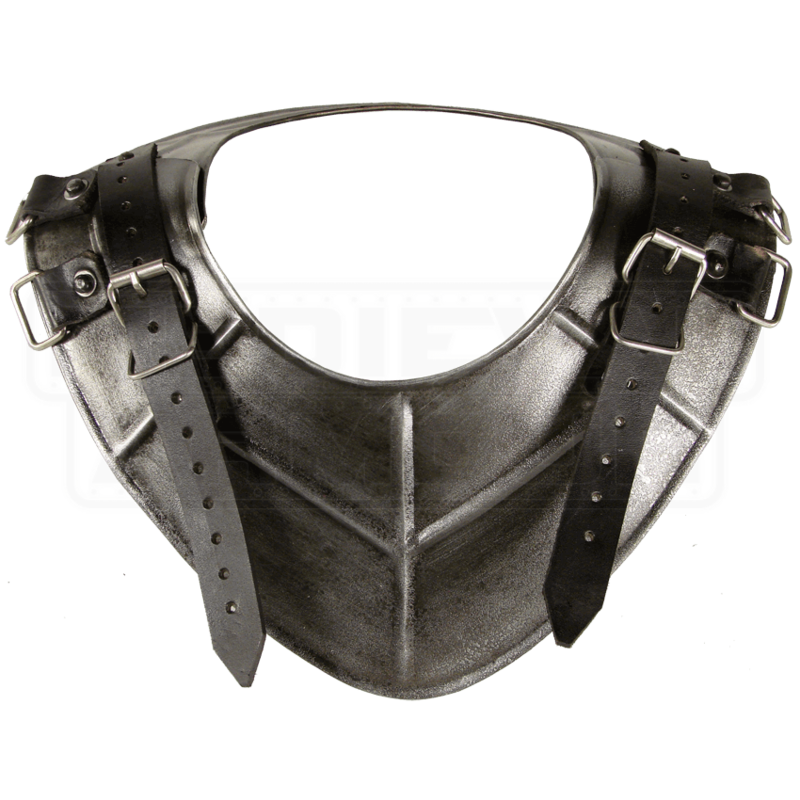 It matters not which side you choose, the Dark Drake Gorget provides protection to your lower neck. 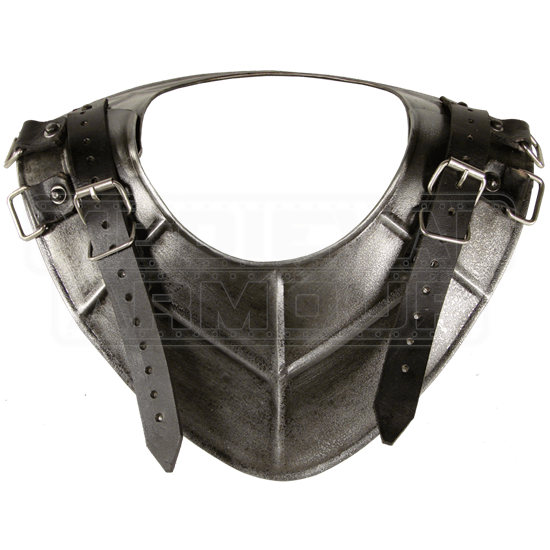 Crafted from 18-gauge mild steel, the gorget fits around the throat and secures to attachments via adjustable buckle straps and D-rings. An oxidation resistant coating not only provides a dark metal finish, but aids in rust and scratch prevention. A scale-like pattern decorates the collar. The raised ridges and rivets increase its deflection capability. The Dark Drake Gorget is compatible with a wide selection of Epic Armoury pieces including the Dark Drake Pauldrons and the Dark Drake Steel Greaves. I bought this to go with the dark warrior pauldrons. Together they are awesome. I would dye the straps black with leather dye or a magic marker. I also glued soft leather to the underside to make it more comfortable. Wash underneath before wearing as there is dirt left over from the manufacturing process. This gorget unlike most others has two buckle attachments. I assume the front set is for attaching breast plates to.